Below you fill find all funeral homes and cemeteries in or near Hughesville. Suburbs of Hughesville: Bryan Mills, Glen Mawr, Tivoli. 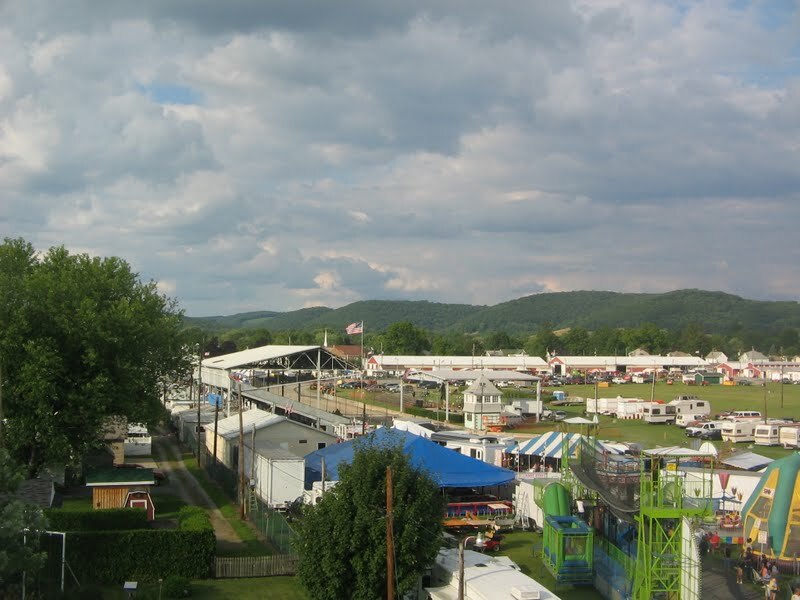 Hughesville is also known as: Lycoming County / Hughesville borough. Their current mayor is Mayor Walter Reed. Zip codes in the city: 17737. Lycoming County funeral flowers can be purchased from one of the local funeral shops we partner with. Hughesville is a borough in Lycoming County, Pennsylvania, United States. The population was 2,220 at the 2000 census. It is part of the Williamsport, Pennsylvania Metropolitan Statistical Area. It was written by Milwaukee Journal Sentinel on December 9th, 2018 that Margaret S "Peggy" Schwoegler (Shaffer) passed away in Wisconsin. Ms. Schwoegler was 97 years old and was born in Hughesville, PA. Send flowers to express your sorrow and honor Margaret S "Peggy"'s life. It was disclosed by The Daily Journal on January 9th, 2018 that William "Bill" Swartz perished in Millville, New Jersey. Swartz was 80 years old and was born in Hughesville, PA. Send flowers to express your sympathy and honor William "Bill"'s life. It was reported by Johnstown Tribune-Democrat on June 4th, 2016 that Paul Stephen "Bucky" Hager died in Hughesville, Pennsylvania. Hager was 85 years old. Send flowers to share your condolences and honor Paul Stephen "Bucky"'s life. It was reported by Williamsport Sun-Gazette on February 2nd, 2016 that Dennis H Smith passed away in Hughesville, Pennsylvania. Smith was 75 years old. Send flowers to express your sorrow and honor Dennis H's life. It was reported by Williamsport Sun-Gazette on January 11th, 2016 that Anna Blanche Frantz (Holmes) passed on in Hughesville, Pennsylvania. Ms. Frantz was 95 years old. Send flowers to share your condolences and honor Anna Blanche's life. It was reported by Williamsport Sun-Gazette on December 19th, 2015 that Sherry L Fry passed on in Hughesville, Pennsylvania. Fry was 61 years old. Send flowers to share your condolences and honor Sherry L's life. It was revealed by Williamsport Sun-Gazette on December 12th, 2015 that Roger Dale Mills passed on in Hughesville, Pennsylvania. Mills was 59 years old. Send flowers to express your sorrow and honor Roger Dale's life. It was disclosed by Williamsport Sun-Gazette on October 24th, 2015 that Beverly J "Bev" Crawford (Crawford) perished in Hughesville, Pennsylvania. Ms. Crawford was 63 years old. Send flowers to express your sorrow and honor Beverly J "Bev"'s life. It was noted by Williamsport Sun-Gazette on October 17th, 2015 that Linda Newhart (Armstrong) passed on in Hughesville, Pennsylvania. Ms. Newhart was 78 years old. Send flowers to share your condolences and honor Linda's life. It was reported by Williamsport Sun-Gazette on October 7th, 2015 that Wendy S Leitel (Charles) passed away in Hughesville, Pennsylvania. Ms. Leitel was 50 years old. Send flowers to express your sympathy and honor Wendy S's life. The town grew slowly around a gristmill that was constructed by Jacob Clayton. The first doctor in Hughesville, John W. The first dentist opened an office in 1853 and the first lawyer settled in Hughesville in 1875. * Early industries in Hughesville were built to serve the farmers and citizens of eastern Lycoming County. A tavern was built in 1820 and general store was opened ten years later in 1830. They included a chair factory opened in 1829, a wagon shop in 1830, several distillery a sawmill and planing mill, and a furniture factory. McCarty-Thomas Funeral Home Inc has been providing both traditional and cremation funeral services to Hughesville, PA for over 60 years. Call 800-655-7158. Listing all funeral homes in Hughesville, Pennsylvania so you can easily send flowers to any location (same day delivery) or find any funeral service. Find crematories & Crematories in Hughesville, PA. Read business reviews, find driving directions, and more. crematories on YP.COM. We work with local florists and flower shops to offer same day delivery. You will find budget sympathy flowers in Hughesville here. Our funeral flowers are cheap in price but not in value.